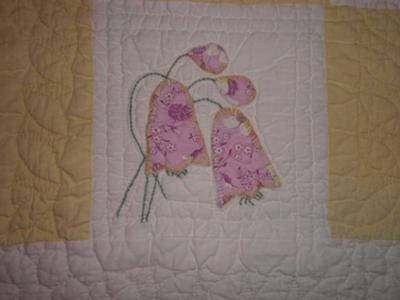 This quilt was hand made by my great-great grandmother after my grandfather was born she could never walk again. 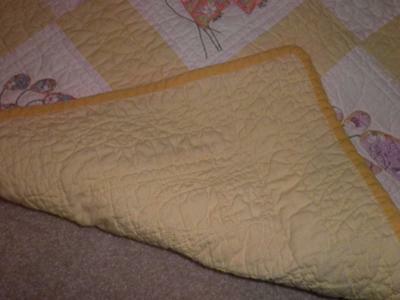 My aunt and grandmother made quilts for a living. The one I have was never used and still has blood stains from the needle work. I was able to pick one out before my Aunt Scottie died. They had a whole closet full of them the only one I couldn't take was the very first one my great-great grandmother made. Her name was Ida McCoy and she died when she was 86 years old; Aunt Scottie died when she was 82. They were from Hur, West Virgina. 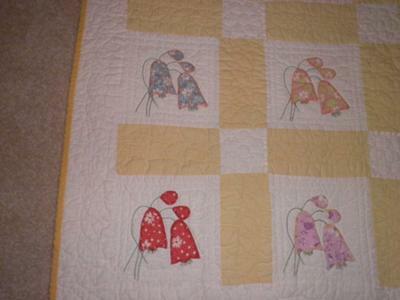 I am thinking it was in the late 1800s or early 1900s when this quilt was made. I would like to know more about this quilt maybe you can look at it to see..
My father was a Ferguson tractor dealer in West Virginia and was a friend of Harley McCoy. 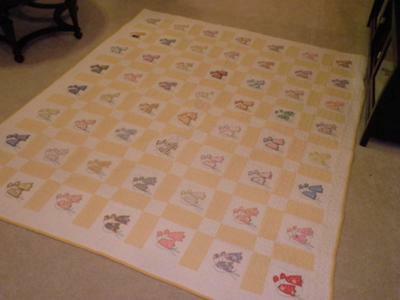 I remember visiting in their home in the 1950's.and seeing the many quilts. Small world!